Mahe Island is known for beaches, parks, historic sites, adventure, and trails. Your plan includes some of its best attractions: take in nature's colorful creations at Seychelles National Botanical Gardens, pause for some serene contemplation at Cathedral of Our Lady of Immaculate Conception, stroll through Beau Vallon Beach, and don't miss a visit to Clock Tower. To see ratings, photos, other places to visit, and other tourist information, you can read our Mahe Island trip builder app . Chandigarh, India to Mahe Island is an approximately 16.5-hour flight. You'll gain 1 hour traveling from Chandigarh to Mahe Island due to the time zone difference. Expect a daytime high around 34°C in August, and nighttime lows around 28°C. Finish your sightseeing early on the 25th (Sat) to allow enough time to travel to Praslin Island. Praslin Island is known for beaches, nature, adventure, outdoors, and museums. 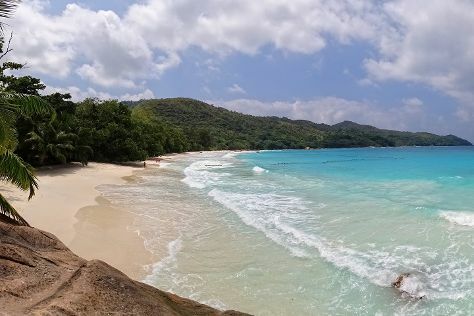 Your plan includes some of its best attractions: step off the mainland to explore Curieuse Island, kick back and relax at Anse La Blague, tour the pleasant surroundings at Anse Georgette, and examine the collection at Praslin Museum. To find reviews, maps, and tourist information, you can read our Praslin Island trip planner . Traveling by combination of car and flight from Mahe Island to Praslin Island takes an hour. Alternatively, you can ride a ferry. In August, daily temperatures in Praslin Island can reach 34°C, while at night they dip to 28°C. Finish up your sightseeing early on the 27th (Mon) so you can catch the ferry to La Digue Island. On the 28th (Tue), kick back and relax at Anse Fourmis, enjoy the sand and surf at Grand Anse, and then enjoy the sand and surf at Anse Source D'Argent. To see where to stay, ratings, other places to visit, and more tourist information, use the La Digue Island road trip planner . 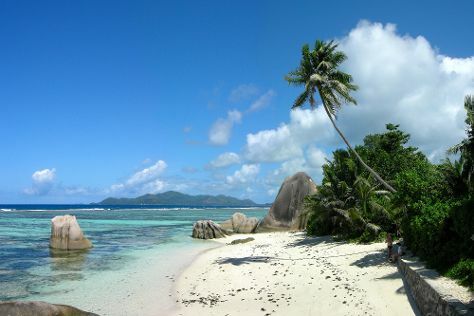 La Digue Island is just a short distance from Praslin Island. In August, plan for daily highs up to 34°C, and evening lows to 28°C. Wrap up your sightseeing on the 28th (Tue) early enough to travel back home.